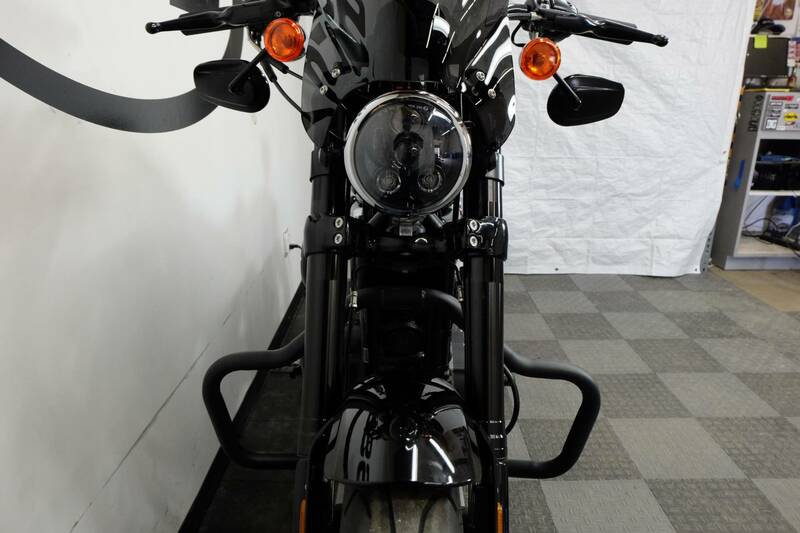 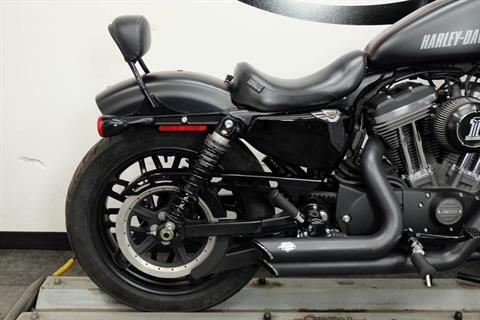 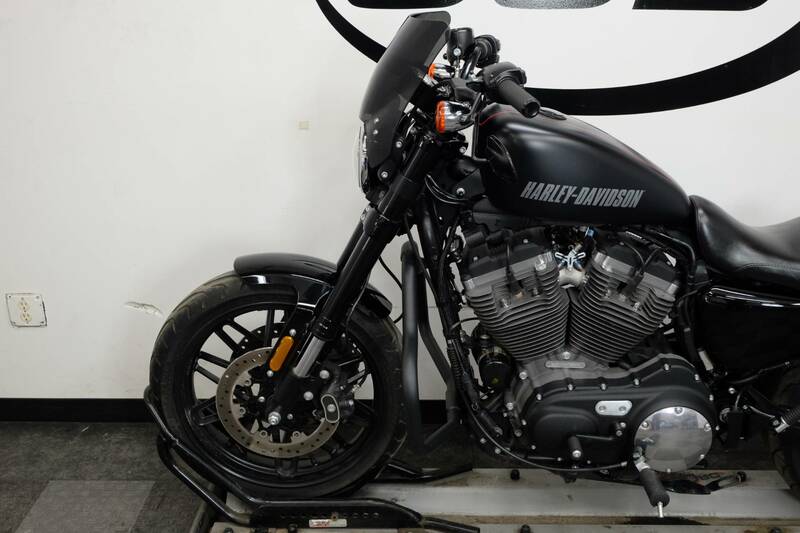 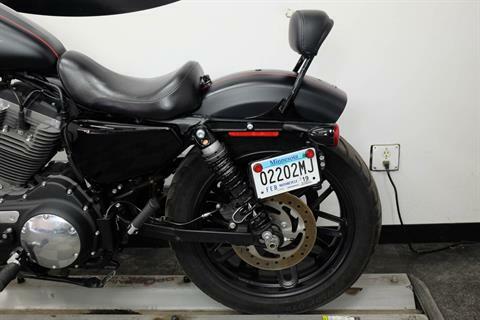 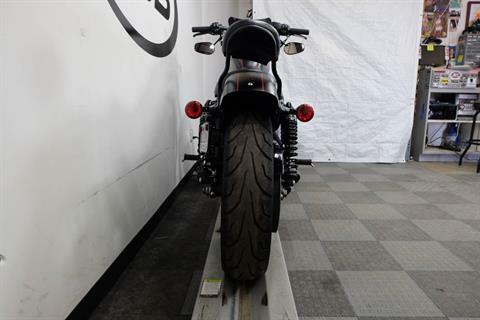 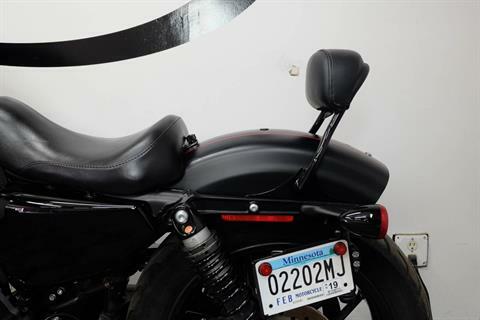 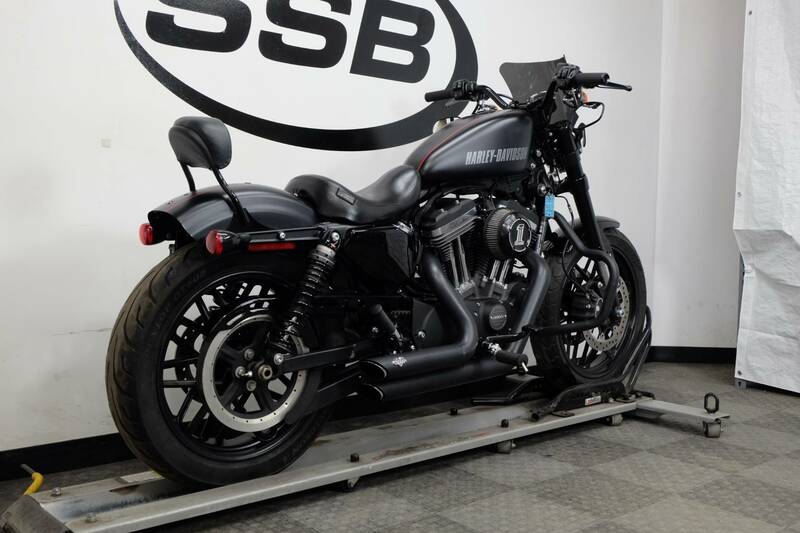 This 2016 Harley Davidson XL1200CX Roadster is in mint condition with only 4,223 miles on it! 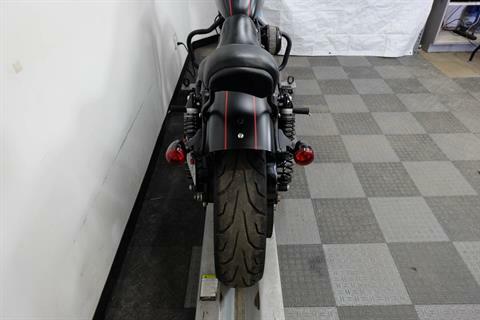 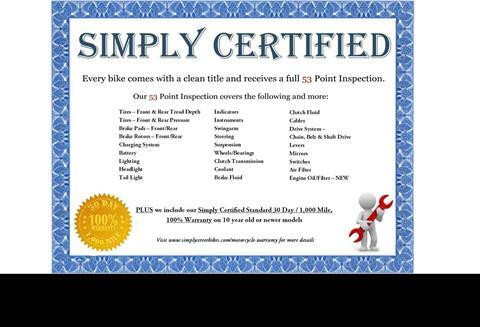 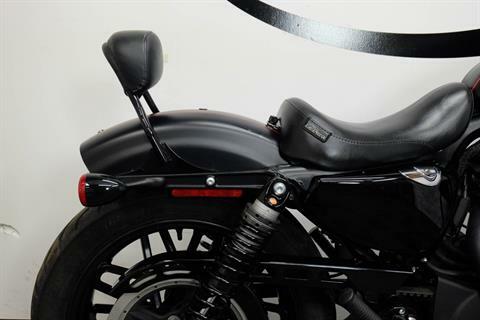 This motorcycle is free of any laid down or tip over damage and looks brand new. We did notice a couple of very minor scuffs on it, but they are really minimal. 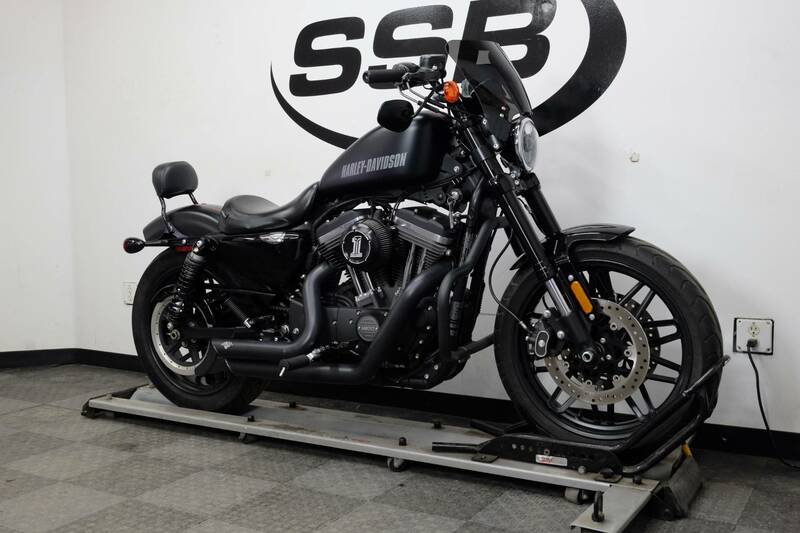 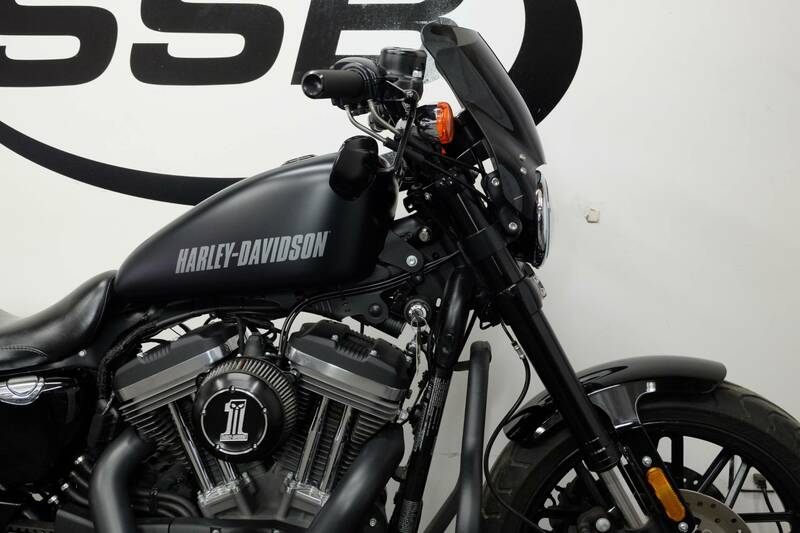 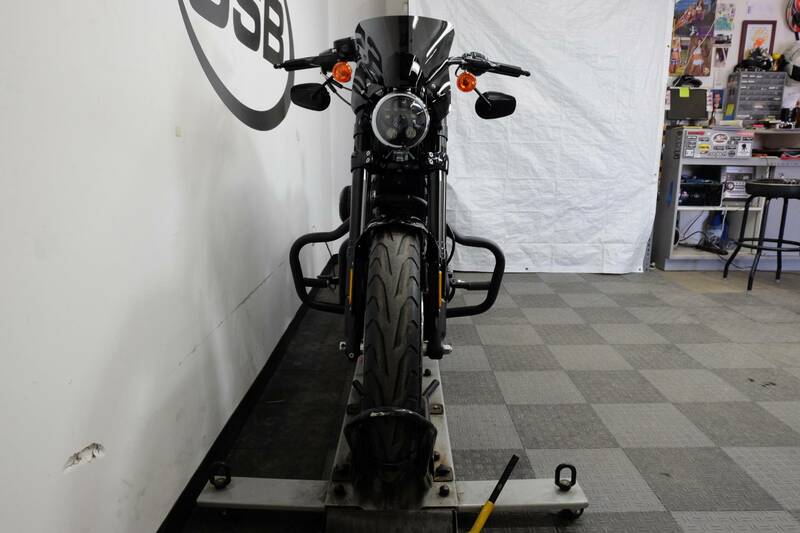 This bike comes with OEM mid controls, no passenger seat, passenger pegs, a passenger backrest, highway bars, a windscreen, LePera solo seat, LED headlight, Vance & Hines pipes, and an aftermarket air intake already installed on it and is waiting to be finished by the new owner. 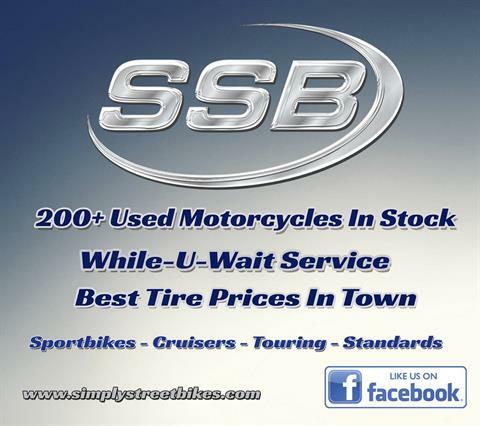 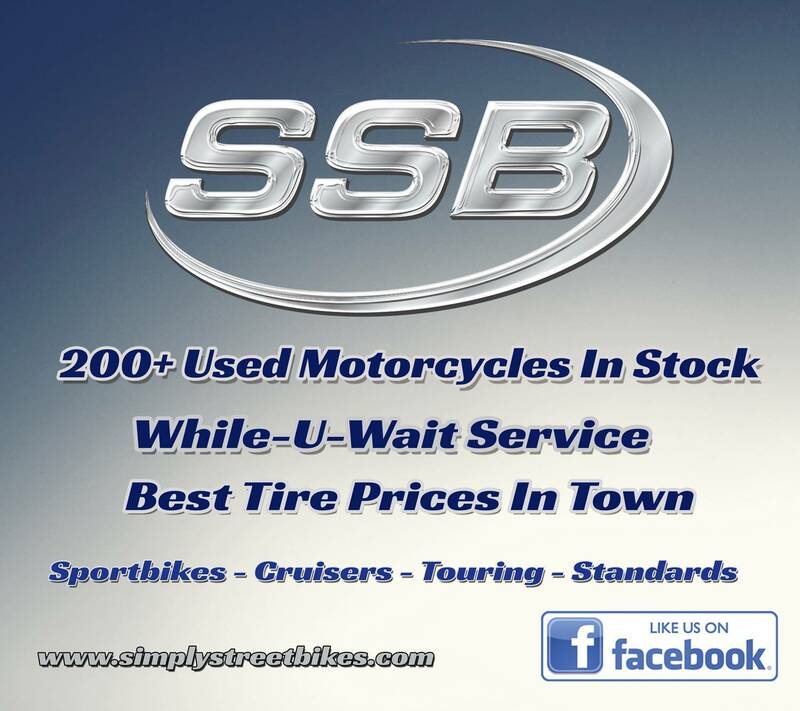 Our service department will be making the determination if the tires will need to be replaced. 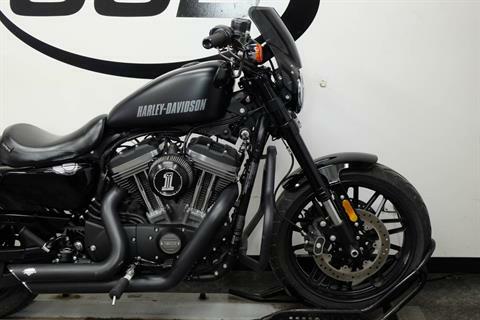 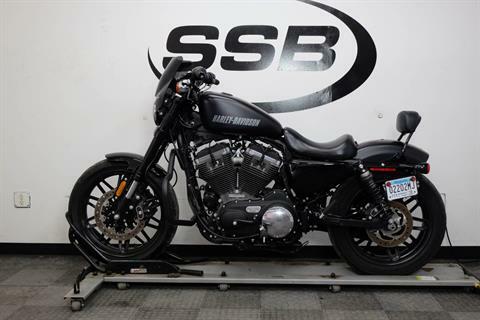 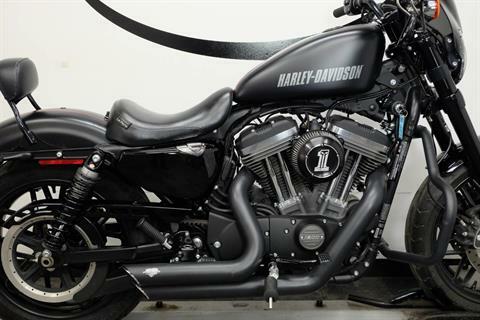 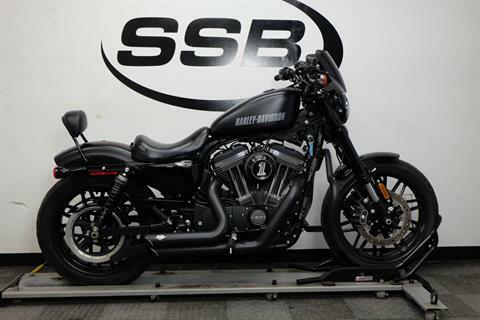 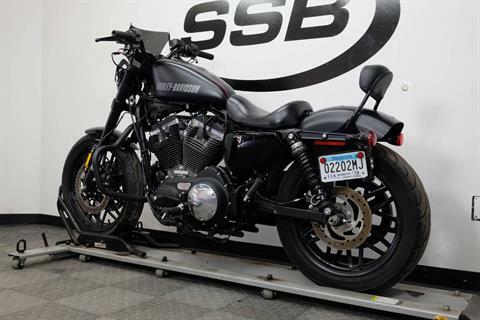 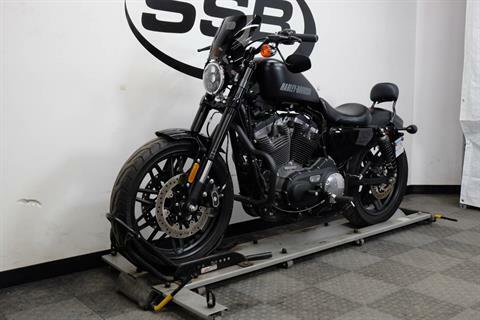 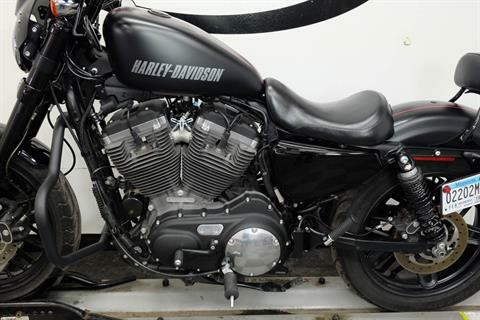 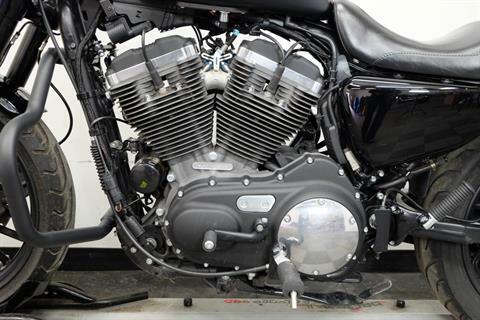 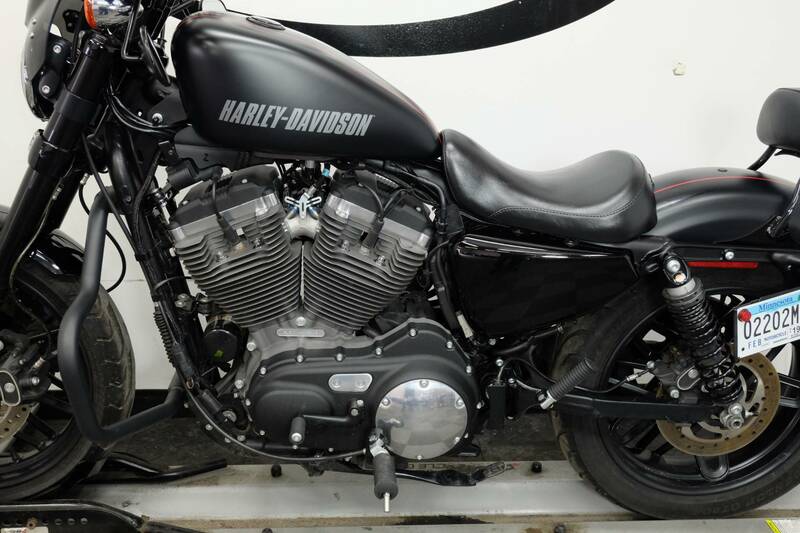 If you are looking for an American made V-twin that is like new at a very reasonable price, then you really need to check this Harley out! NEW PAINT AND GRAPHICS: The paint and graphics on the new Roadster™ are an unmistakable nod to the performance heritage that runs deep in the Motor Company. SLAMMED HANDLEBARS AND NEW GAUGE: You get the performance look and feel of slammed handlebars on the Roadster™. The riding position is aggressive. 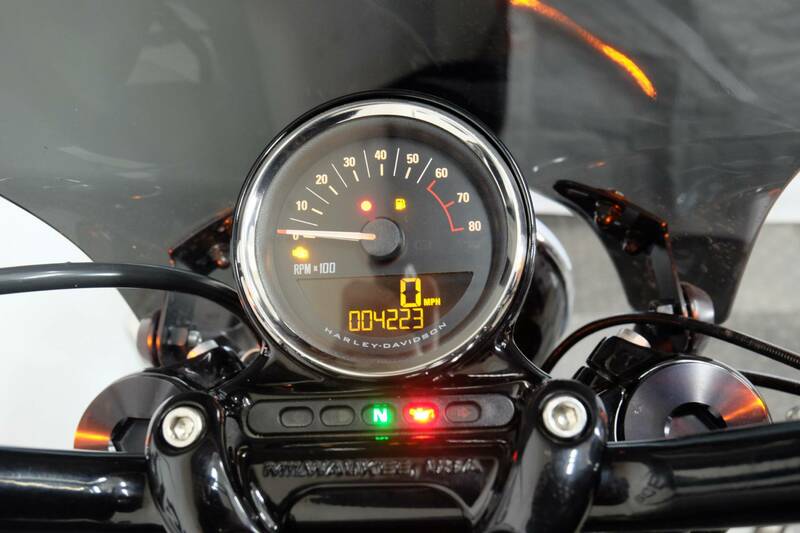 And the new gauge includes a speedometer and tach so you can keep track of what’s going on in your power plant. 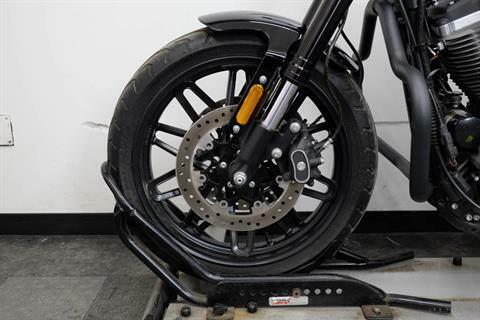 NEW LIGHT-WEIGHT OFFSET SPLIT 5-SPOKE WHEELS: The Roadster™ comes rolling out of the factory on new light-weight, offset split 5-spoke wheels. They give you a custom look, easy-steering and a better power to weight ratio. Now it’s your turn to squeeze every ounce of performance out of this ride. 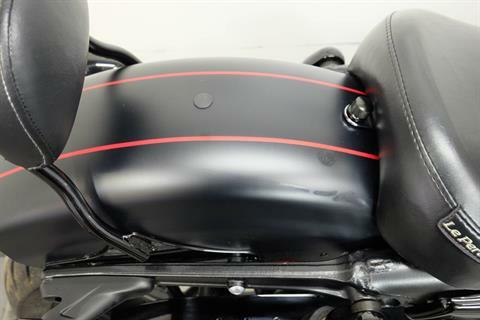 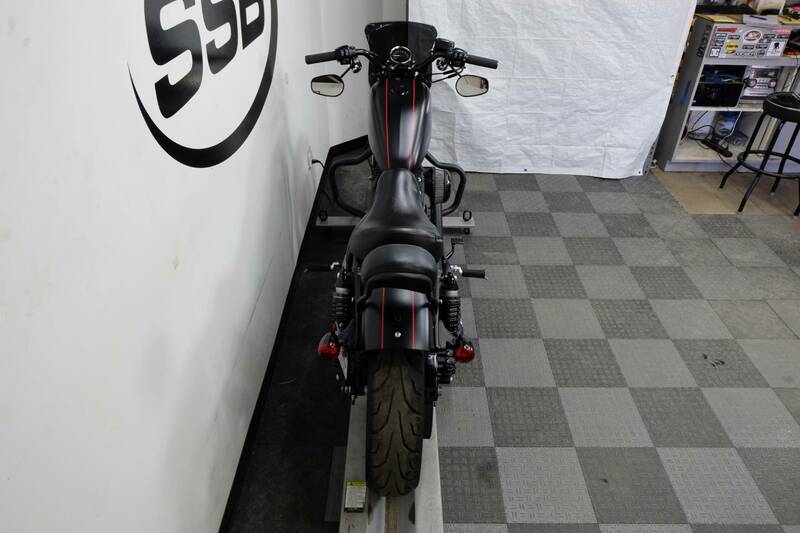 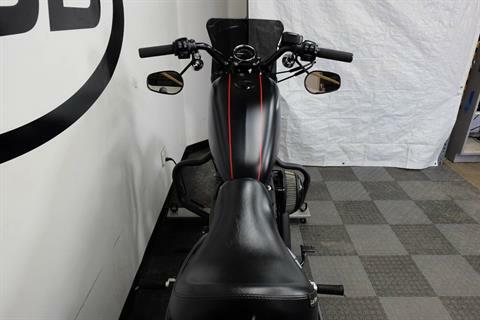 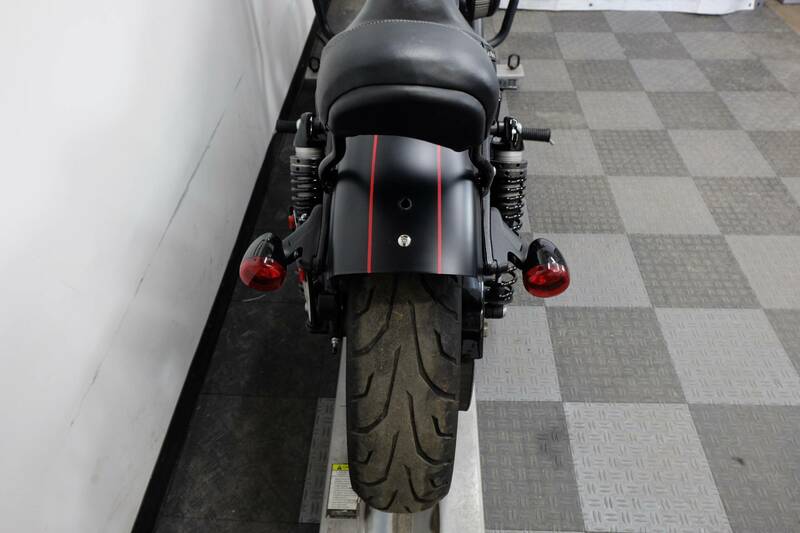 NEW TWO-UP SEAT AND REAR TAIL SECTION: The garage-built custom look of the Roadster™ is evident in the new seat and tail section of the bike. Simple, minimal and raw. 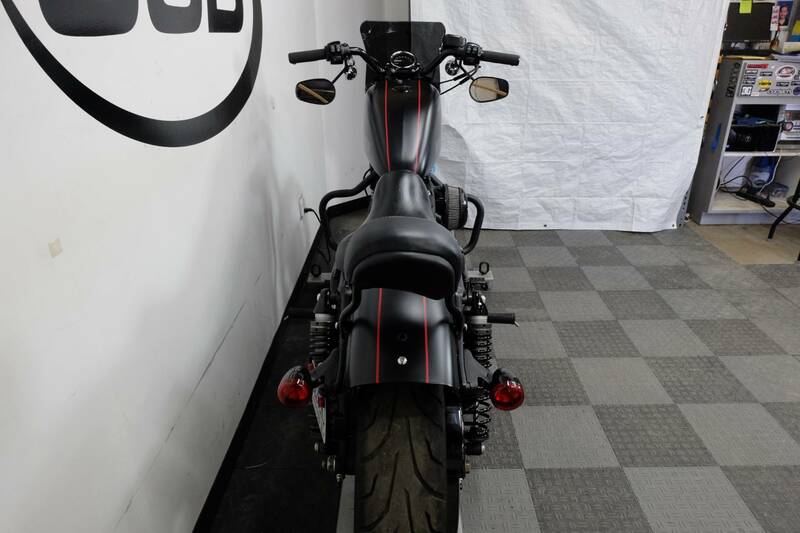 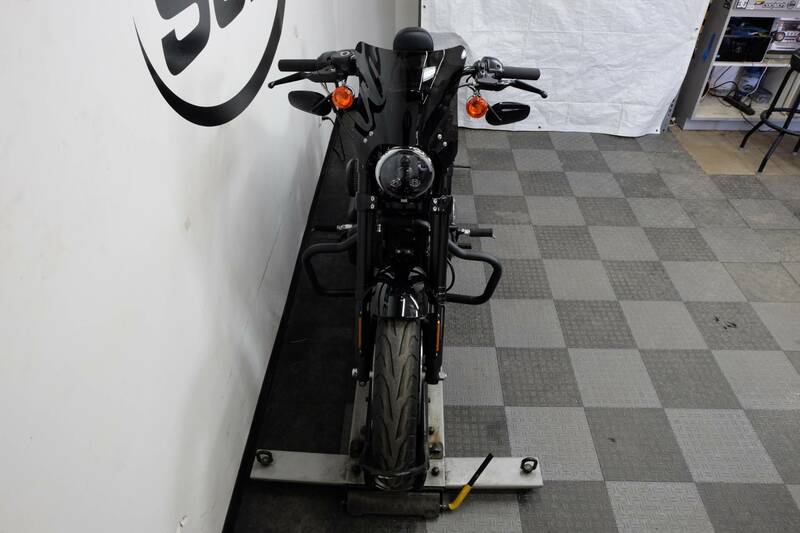 The seat has a low profile, performance look, and the fender has been chopped 1.5” to accentuate the rear wheel. There’s also a side-mount license plate to keep the fender and wheel clean. 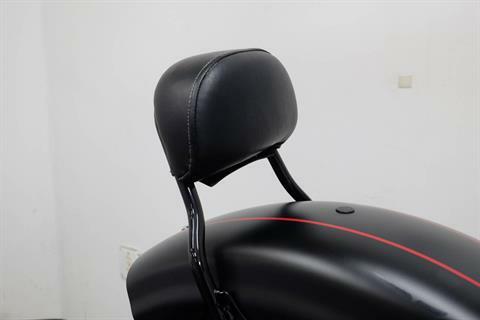 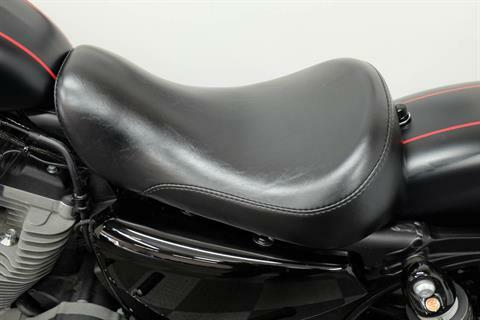 NEW TWO-UP SEAT: The new two-up seat on the Roadster™ motorcycle is the optimal combination of comfort and custom style. 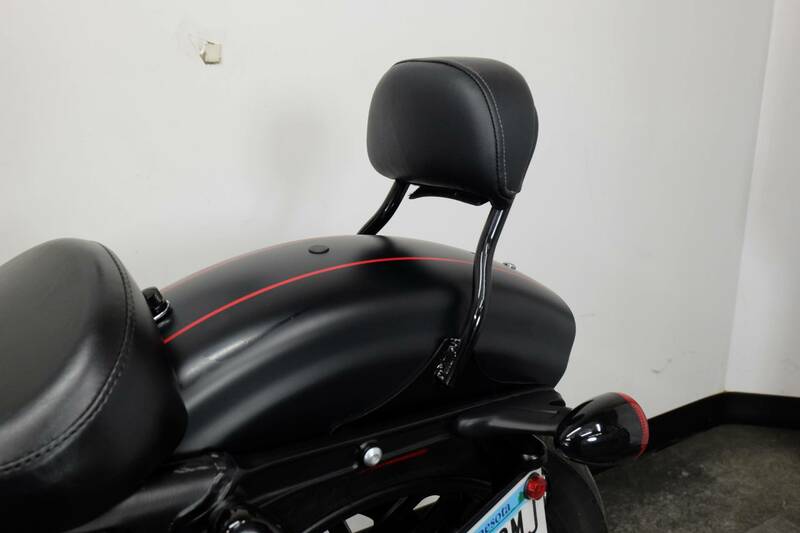 It’s a low profile, with a nice, deep scoop to keep you firmly planted under acceleration, and it puts you just 30.9 inches off the ground for a low center of gravity and confident handling. PREMIUM EMULSION-TYPE SHOCKS WITH PRE-LOAD: The premium emulsion-type rear shocks on the Roadster™ are all new. 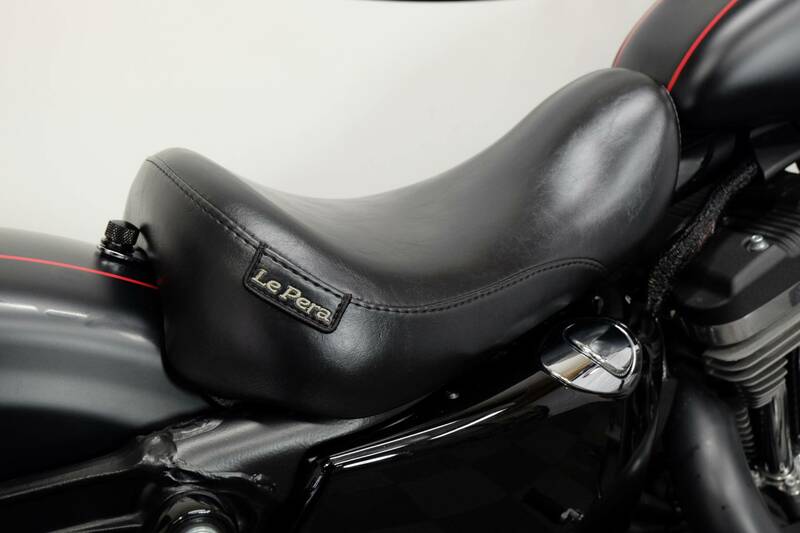 They feature a screw-style adjustable pre-load so you can dial the ride in to your style. 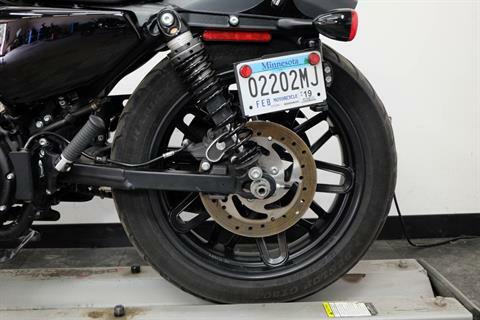 They give you solid handling, and keep your rubber in contact with the asphalt over the bumps and cracks in the road. NEW 43 MM FRONT SUSPENSION WITH INVERTED FORKS: At the front of the Roadster™ motorcycle, you’ll notice a new 43 mm front suspension with inverted forks. 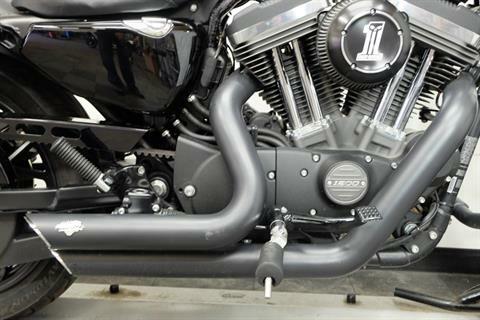 They feature cartridge damping and the brawny look of massive new triple clamps. 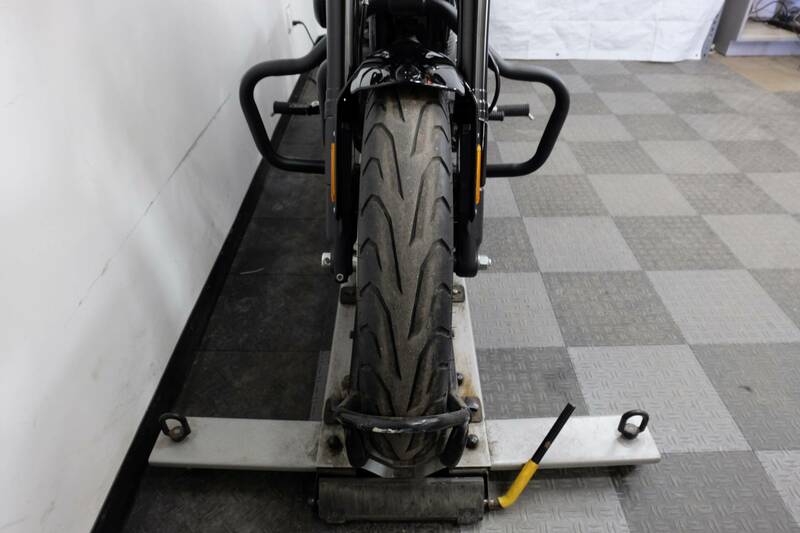 They keep your rubber on the road when the pavement gets rough. 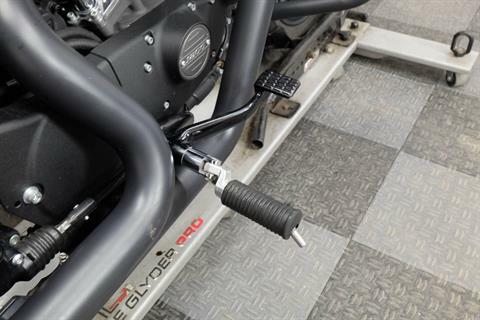 NEW STEERING GEOMETRY: As part of the new performance package, we engineered a new steering geometry for the Roadster™. The result for you is easy, nimble handling and a confidence-inspiring ride. 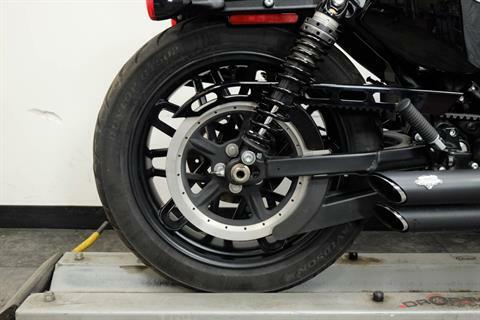 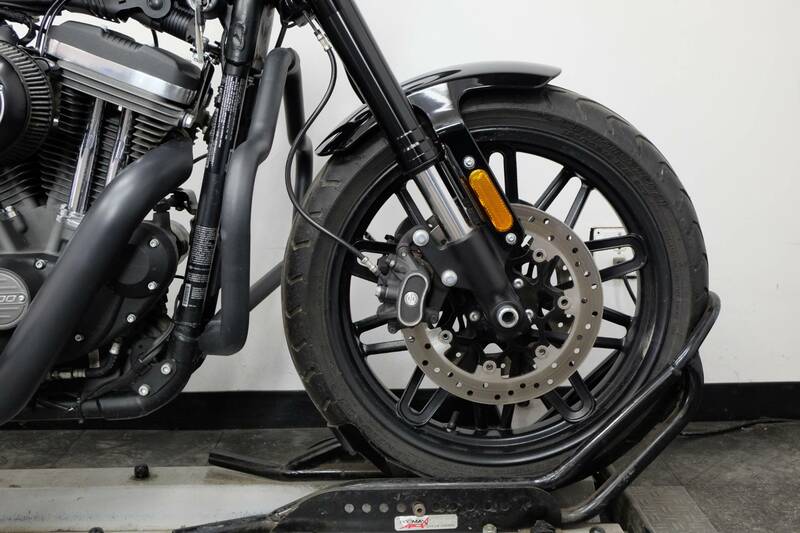 DUNLOP® HARLEY-DAVIDSON® SERIES RADIAL BLACK WALL TIRES: When you have the combination of this much power and agility, you want sticky rubber to make the most of it. 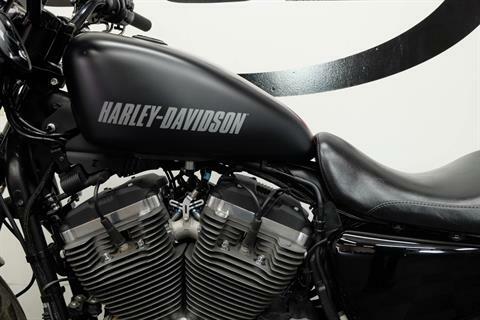 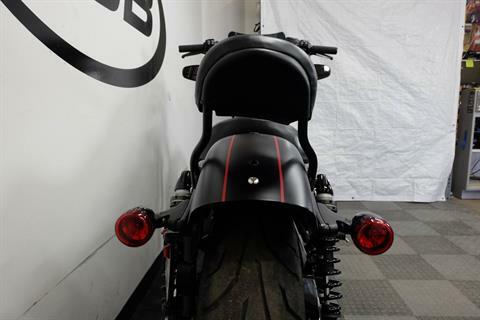 The Roadster™ delivers with Harley-Davidson® Series Radial Black Wall tires. 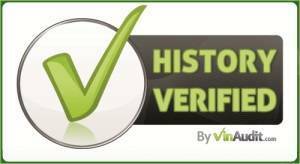 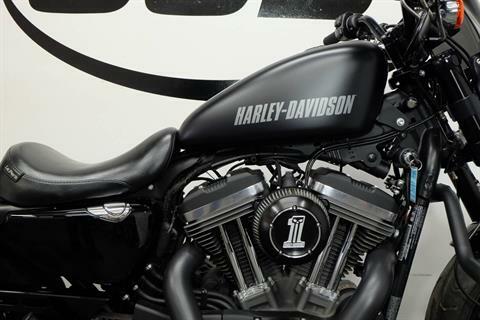 1200 CC AIR-COOLED EVOLUTION® V-TWIN POWER: The Evolution® engine—known in certain crowds as the Blockhead—was first bolted to the frame of a Harley-Davidson® motorcycle back in 1984. 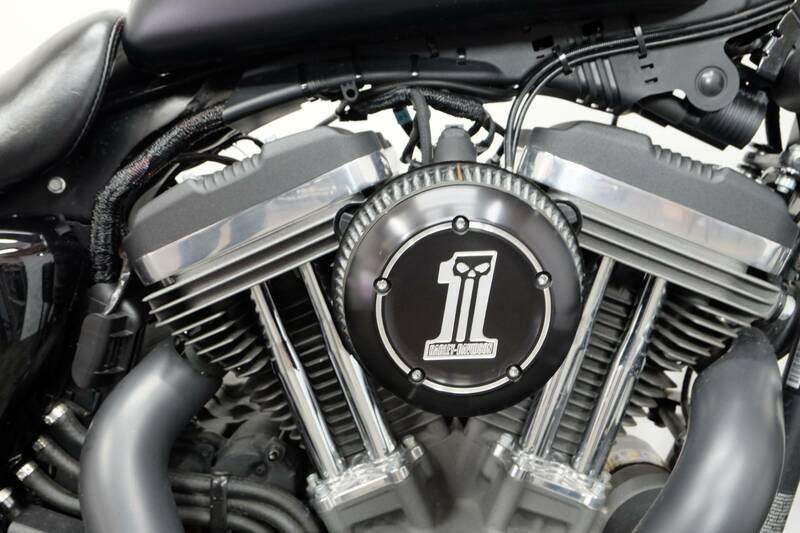 Born from legendary Shovelhead and Ironhead engines, the Evolution® engine broke new ground in displacement innovation while maintaining the hunger for power, durability and proven reliability that The Motor Company was built on. 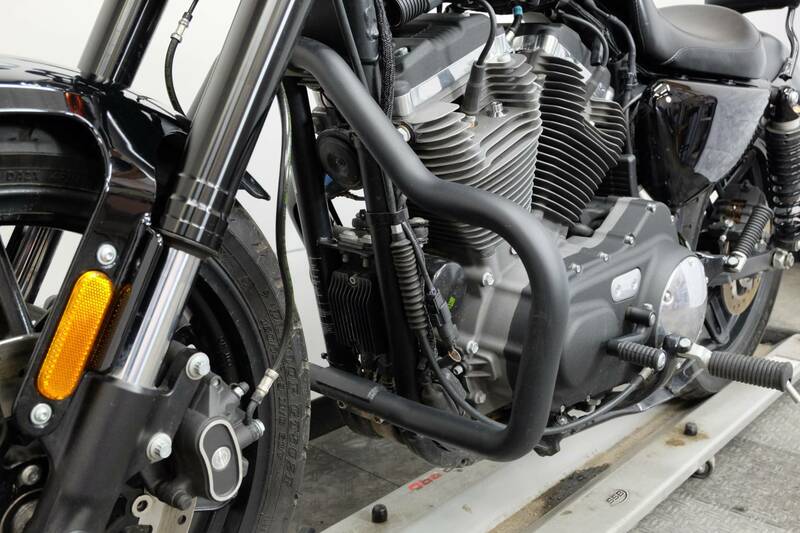 ICONIC 1200 CC AIR-COOLED EVOLUTION® ENGINE: The Motor Company was built on the feeling our engines deliver to the rider, and decades of riding experience went into the development of this one. 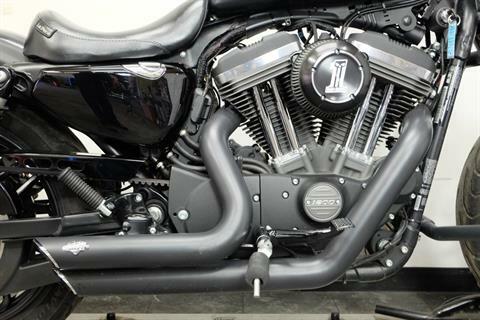 Born from the legendary engines of our history, the 1200 cc Air-Cooled Evolution® V-Twin is renowned for its massive low-end torque and soul-satisfying sound. Lightweight aluminum heads and cylinders improve air-cooling efficiency, which means reliability that will last for years. 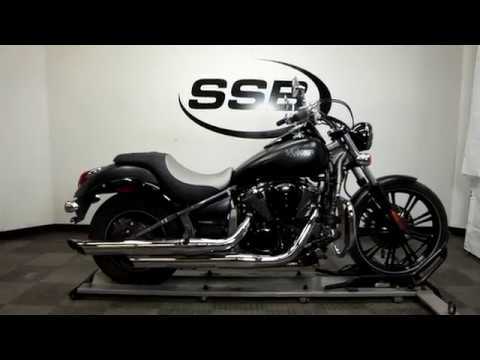 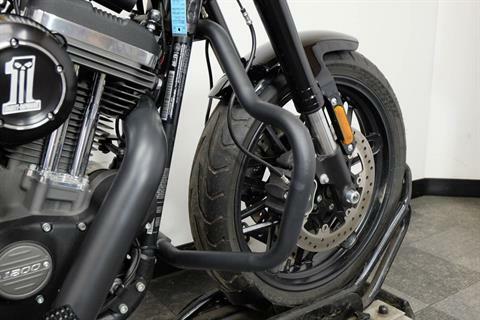 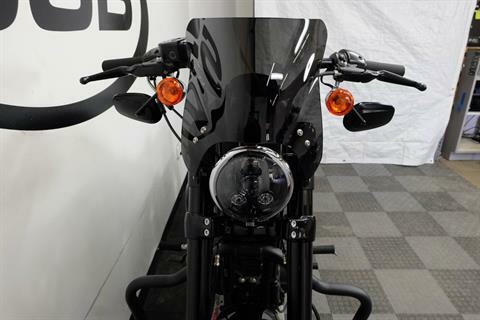 H-D™ SMART SECURITY SYSTEM (OPTIONAL): The factory-installed next-generation security system features a hands-free fob that automatically arms and disarms the vehicle’s electronic security functions as you approach and walk away from the bike. 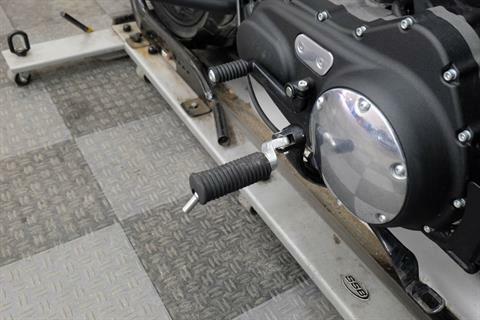 Stick the fob on your ignition key ring and let it do all the work. 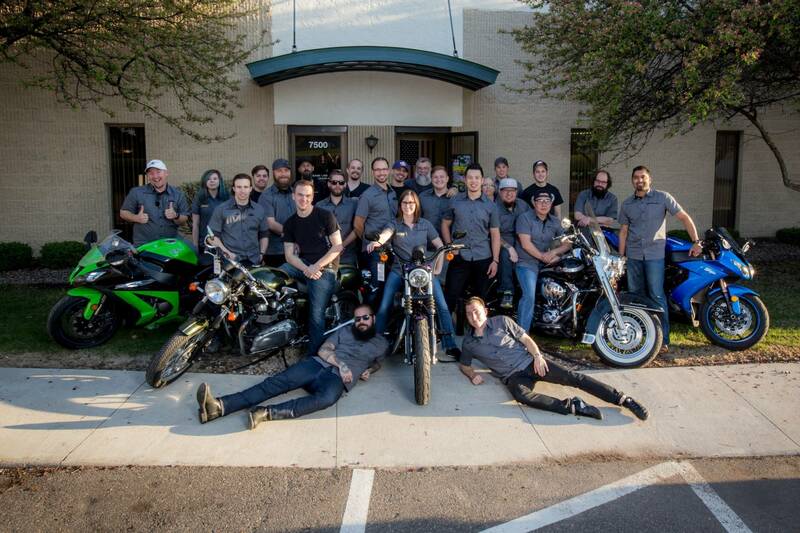 It’s this attention to detail and security that make Harley-Davidson® motorcycles unique. 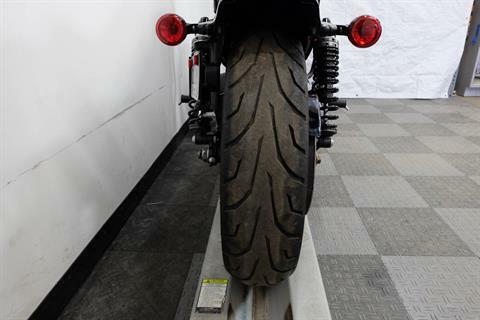 ANTI-LOCK BRAKES (OPTIONAL): This sophisticated, factory-installed ABS gives ‘stopping power’ a double meaning. 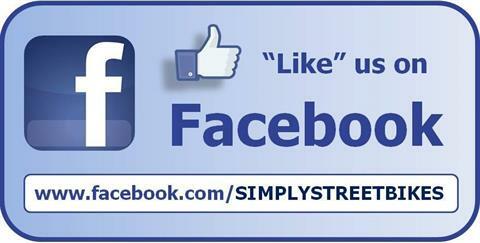 You’ll turn heads with clean, streamlined design. But more importantly, you get certainty in the saddle knowing your bike’s going to behave when you need it. DUAL DISC FRONT BRAKES WITH FLOATING ROTORS: There’s no question you’ve got a lot of muscle behind you when you’re on the Roadster™ motorcycle. 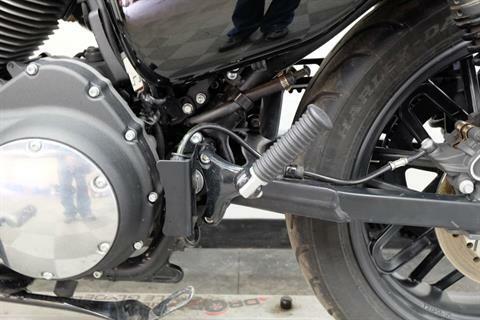 That’s why you’ve got dual disc front brakes with floating rotors in front of you. The more confident you are in stopping, the better the going gets.